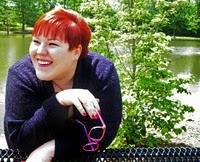 Good morning lovely bookworms, and welcome to another amazing guest post! I tell you, choosing which of these to participate in is always hard for me. I only want to spotlight authors I know that I would read, and hopefully push them onto your overflowing TBR as well. In the case of Stones and Finger Bones by Jessica Minyard, that's definitely true! Aurelia Barone, Jewel of Starry Stone, harbors no illusions about the purpose of her life as heir to the throne. But after two failed betrothals, she starts to feel like nothing more than a pawn being moved aimlessly about a game board. Until the night she loses everything. Kidnapped by a wise-cracking mercenary with more than one identity, Aurelia embarks on a mission across land and sea to avenge her father’s death. But an evil is rising from the ashes of memory. Insidious magic is stirring. The dregs of a once-powerful nation are thirsty for blood and revenge. They seek to harness Aurelia. To tempt her. To manipulate her. And if necessary, to destroy her. Naming characters, I think, is one of the most satisfying and frustrating part of the writing process. When you find the perfect name, you’re all like, “Yassss, it is ours, precious!” However, searching for that perfect moniker can be a long and fruitless adventure that takes up valuable time you could spend writing. Some writers avoid this problem by giving their characters placeholder names, like Bill, Bob, Jane, or A, B, C while they’re on the hunt. I’m not one of those writers. I don’t even begin writing something new until I at least have the main characters named. So, how do I go about naming my characters? Well, when I first started writing Stones, I would just use anything and everything that tickled my fancy. When I got deeper into the story, the naming process became part of my worldbuilding strategy. The culture of Myrinthia is based loosely around Italy during the Renaissance, and I actually didn’t know this was the direction I wanted to take until several drafts in. It is just by chance that Aurelia has been Aurelia since the beginning, and the name Aurelia has Italian usage. Once I made this decision, the names I started looking for would have to evoke the flavor of the setting, thus the frequent o, a, i endings. Another naming rule – or convention – I decided to give my fictional world was the habit of keeping similar names in a family; you can especially see this in the royal family. Aurelia is the daughter of Aurelien; Gianmarelo is the son of Marel. While this caused some consternation for my editor (she wanted me to make all my names distinctively different) I stood by my decision for the sake of worldbuilding. The royal family is proud and has a long history of naming their children after themselves, so it would make sense for the tradition to continue in the current story. I used this same process when coming up with, or finding, names for the inhabitants of Behru. Behru is a different country, with a different culture, so their names needed to reflect a different flavor. There are some other things to consider when choosing names, like meaning or the personality of the character, but I always like to bear in mind setting first. You’re not going to find a Rycendithias in a contemporary setting (mainly because I plain-ole made that one up), just the same way you won’t – or shouldn’t! – find a Jessica or Kourtney or Mercedes in a fictional-pseudo-faux-medieval setting. Many thanks to Jessica for sharing her insight into character names! 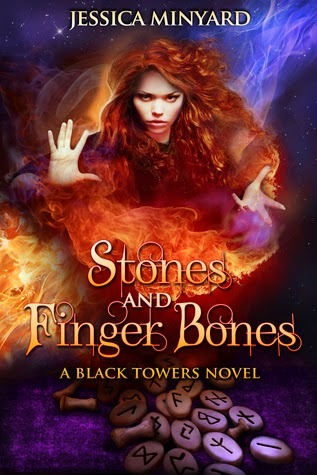 Make sure to add Stones and Finger Bones to your reading list and happy reading! Jessica wrote and illustrated her first story in the fourth grade. “The Dragon of Grindley Grun” was about an evil wizard, a princess, and a dragon who was actually a prince. She likes to think her writing has evolved since that very first story, even though she still writes about magic and evil wizards...sometimes. She likes to sing loudly and dance on occasion without being particularly talented at either. Her interests include reading, writing, procrastinating, animal advocacy, musicals, accessories, memes, Harry Potter, and sweet tea. Jessica lives in Kentucky with a spoiled pitbull.